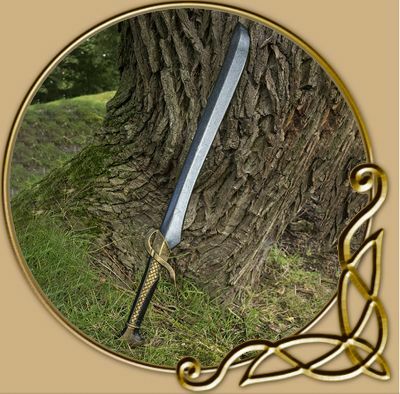 This Ready For Battle Braided Elven Sword is a curved blade for the aspiring Elven hero or Dark Elven villain. 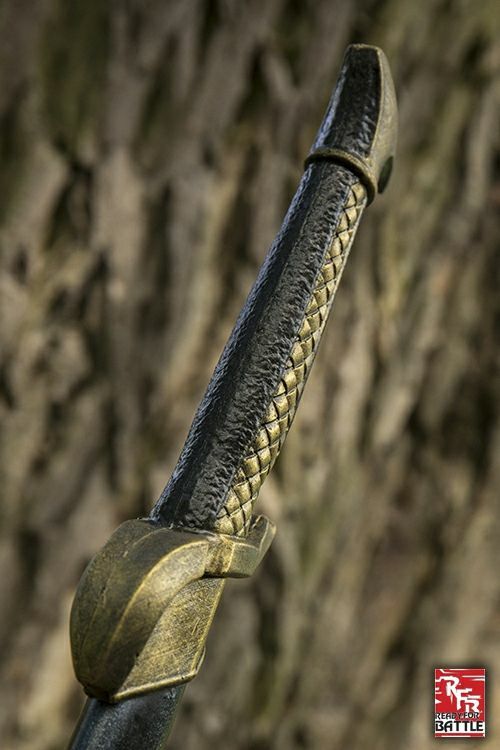 The sword is 75 cm long from tip to pommel, with a gently curved single-edged blade. 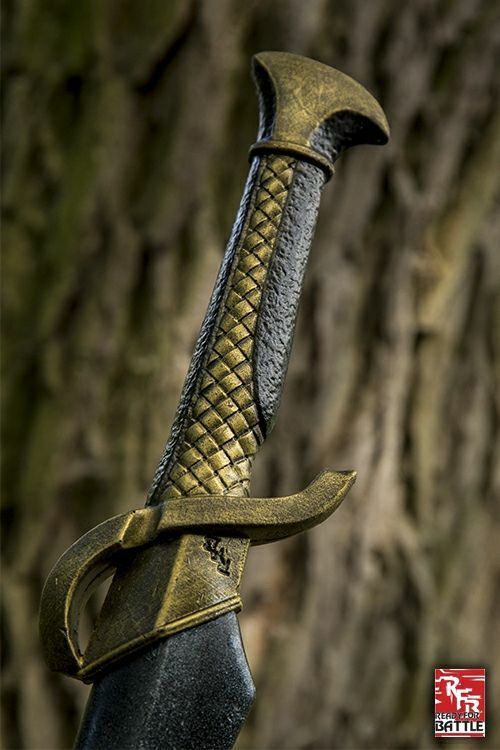 The crossguard curls back over the blade and toward the handle, shielding and protecting the hand. The handle is ergonomic, sculpted and painted to appear like intricately braided metal and wood and shaped for an optimal grip. Ready For Battle weapons are moderately styled and cost-effective weapons that are perfect for new and young players. 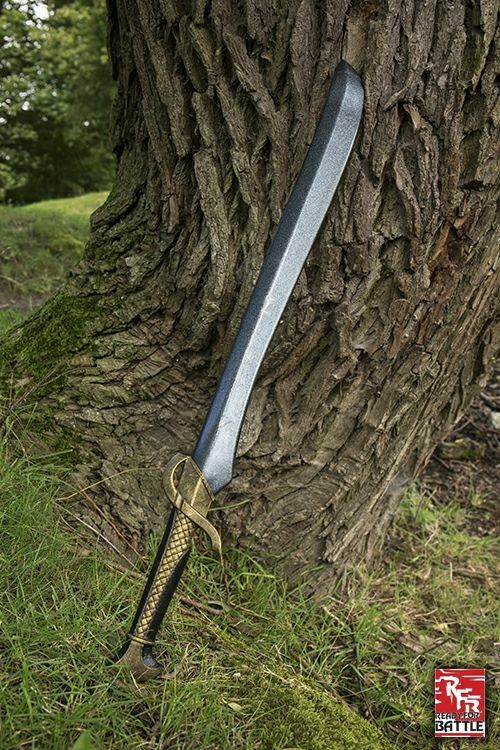 This particular sword is one of our hybrid models, featuring a handle cast in polyurethane foam that allows for greater detail and no maintenance. The blade is made from closed cell foam around a fibreglass core and finished with a strong latex coating. Regardless of whether you plan on joining the light or dark side of elven society, this is an affordable and durable solution for your elven-inspired kit.